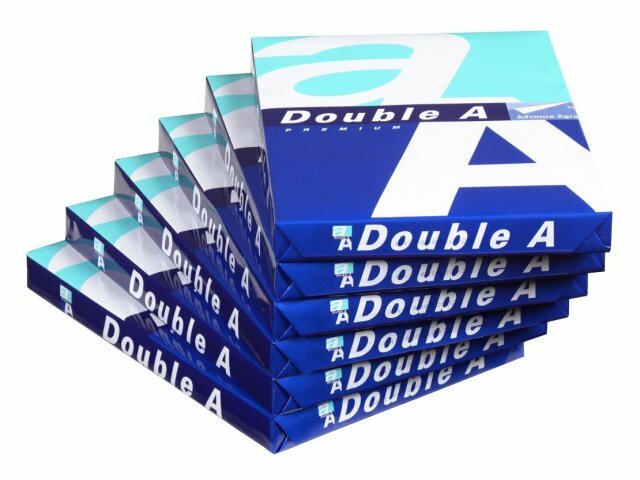 We are the noted Exporter and Supplier of Double A4 Copy Paper. We are offering Double A4 Copy Paper. Ours is the premium quality copy paper brand introduced in 2000. It has been the leading copy paper brand in Thailand for consecutive years and now being the premium copy paper brand for the world. It is available in a moisture protected wrapper. We offer it in a Pack of 500 sheets (1 ream). It is highly demanded by the corporate offices, schools, and other entities. Low dust content : minimizing your copier running cost. Smoothness : improving printing quality. Bulky sheet : enhancing smooth runnability best for use with your photocopier laser printer fax machine ink-jet copier 2 side copying printing double a is developed for the most demanding inkjet and laser printers as well as low high volume copiers and fax machines in order to meet the demands on printability and runnability. the paper has omni-direction copying ability. The paper is also suitable for preprint in offset.